Contrary to an often-stated misconception, the original production was an immediate success (a success which has been triumphantly replicated worldwide ever since). 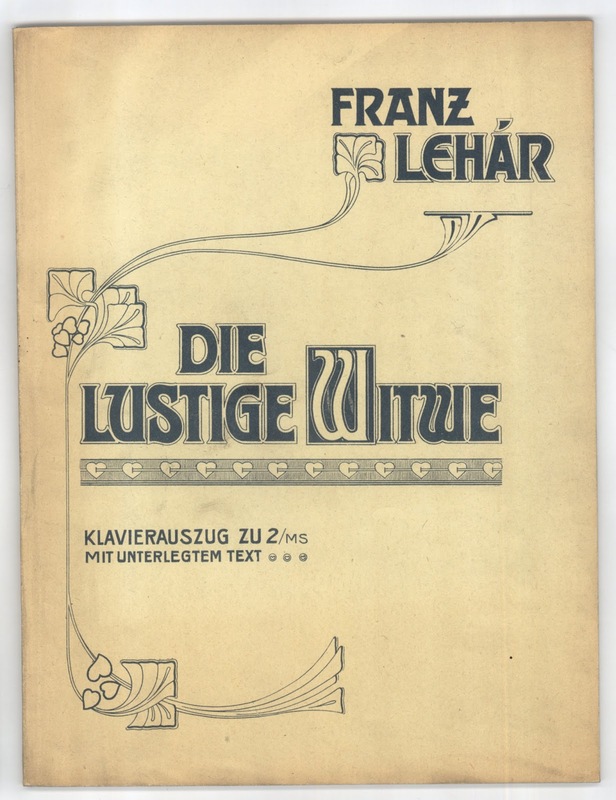 It was Lehár’s first international hit (he was 35), and although he lived until 1948 and wrote many more operettas, The Merry Widow remains his undisputed masterpiece. In the years leading up to 1905, the Theater an der Wien had suffered from a series of recent failures, and so to keep their investment to a minimum, the management decided to use recycled sets and costumes—and to avoid paying rights fees for Meilhac’s original play, the billing read “partly based on a foreign idea.” As rehearsals proceeded, the producers became increasingly pessimistic that Lehár’s innovative use of orchestral color (usually reserved for more serious compositions) would be favorably received. At one point Lehár was offered 5,000 crowns to shut down the production. Wisely, he refused (and thank God). 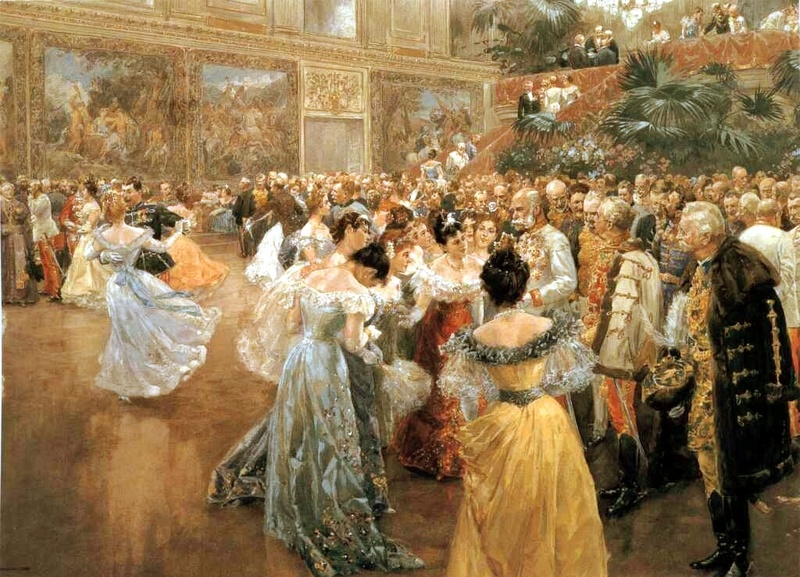 Court Ball at the Hofburg by Wilhelm Gause, 1900. The Merry Widow’s source was an 1861 comedy by the prolific playwright, Henri Meilhac (now best remembered for his role as a co-librettist for many of Offenbach’s hits). The play, L’Attaché d'Ambassade, was not particularly successful in Paris, but a German adaptation enjoyed a profitable run in Vienna and was frequently revived. In early 1905 it caught the attention of veteran librettist Leo Stein, who brought it to his occasional collaborator Viktor Léon. Their updated version was taken on by the Theater an der Wien and the music assigned to the well-known Richard Heuberger, who had given the theater its greatest recent success with Der Opernball (1898). The theater intendant, Wilhelm Karczag, was so disappointed when he heard Heuberger’s resulting music that he took back the script (perhaps to Heuberger’s relief?). 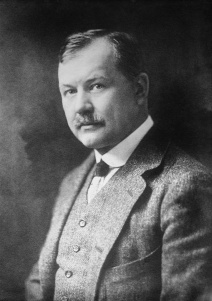 Karczag wanted to scrap the project, but his secretary steered him to the up-and-coming Lehár, who had scored some modest success with two earlier attempts at operetta. Leo Stein (1861-1921) was a playwright and librettist. He collaborated with composers Johann Strauss II, Emmerich Kálmán, and (of course) Lehár, in such works as Wiener Blut (1899), Der Graf von Luxemburg (1909), and Die Csárdásfürstin (1915). He frequently worked with Viktor Léon (1858-1940). After The Merry Widow, perhaps Léon’s best-known work, again with Lehár, is The Land of Smiles (1930). Léon’s property was confiscated after Austria’s annexation by Nazi Germany in 1938. He died of starvation while in hiding in 1940 at the age of 82. 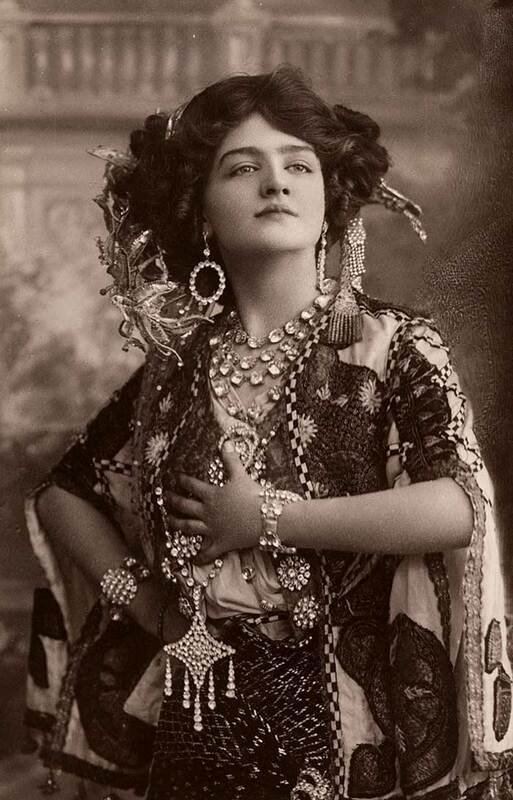 Lily Elsie as Hanna in London, 1907. The Merry Widow’s popularity led to productions in Austria, Berlin, and Budapest and then around the world. Revisions, new songs, translations, changed character names, and plot-tweaking ensued. It is said that at one point in 1907, Buenos Aires had five productions running simultaneously. It opened in London in 1907 in its first English-language version. There were some diplomatically motivated changes. The original German libretto had angered the Balkan kingdom of Montenegro, where the royal family’s name was Njegus and the real crown prince was named Danilo. “Zeta” became “Popoff” and was played by the very popular comedian George Graves—much comic shtick was added. That production of The Merry Widow opened at Daly’s Theater and ran for 778 performances. The American premiere took place at the sumptuous New Amsterdam Theater on October 21, 1907, using the same English version done in London. The producer, Henry Savage, sent touring companies to cities all across the United States. The success of The Merry Widow produced a outburst of merchandising frenzy perhaps not seen again until Disney: sheet music, piano rolls, chocolates, cigars, shoes, oversize hats, and so on. 1907 also saw Widow in Stockholm. Copenhagen, Milan, and Moscow productions performed the following year, and in 1909, it opened in Madrid and Paris, where it was initially met with suspicion (how would those Viennese foreigners treat their untouchable city? ), but eventually declared a success. 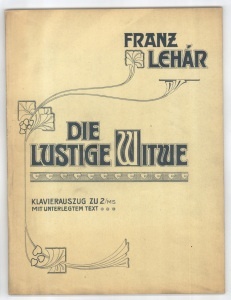 In his biography of Lehár (Gold and Silver), Dr. Bernard Grün estimates that the piece may have been performed half a million times in its first 60 years. No other play or musical up to that time had enjoyed such international success. In 1943, it was revived in New York City with Jan Kiepura and Marta Eggerth and choreography by George Balanchine. It ran for 322 performances—in the same year that Oklahoma! opened. The first performance at the Metropolitan Opera was not until 2000 and starred Frederica von Stade and Plácido Domingo. Piano score for The Merry Widow, Vienna, 1906. Inevitably, sequels, spoofs, parodies, and burlesques followed. Ballet eventually seized upon the story and Lehár’s irresistibly danceable melodies. In 1953 Ruth Page’s version (titled Vilia) opened in England and subsequently toured, coming to Broadway (retitled as The Merry Widow) with Alicia Markova. Maurice Béjart did a version in 1963, and Robert Helpmann produced yet another in 1975 for the Australian Ballet…it came to London and NYC with Margot Fonteyn. The year after The Merry Widow opened in Vienna, the original Hanna and Danilo, Mizzi Günther and Louis Treumann, recorded their arias and duets. Film versions were also inevitable, two of the most famous being Stroheim’s (1925) and Lubitsch’s (1934). For a utterly chilling use of the “waltz” theme, take a look at Hitchcock’s 1943 film, Shadow of a Doubt.